Ironically, it was the failures of the Affordable Care Act (higher premiums and deductibles and more restrictive plans) that made health care the big (only?) issue for Democrats in the midterms. Now, the Democrats, who brought us the Affordable Care Act without a single Republican vote, are ready move forward again with a "solution" to the problems created by the Affordable Care Act: single-payer health care. Scott Atlas, Hoover Institution fellow and health care expert, describes single payer in this morning's Wall Street Journal as "an alluringly simple concept: a government guarantee for all medical care." They call this "free" health care, as Atlas notes. 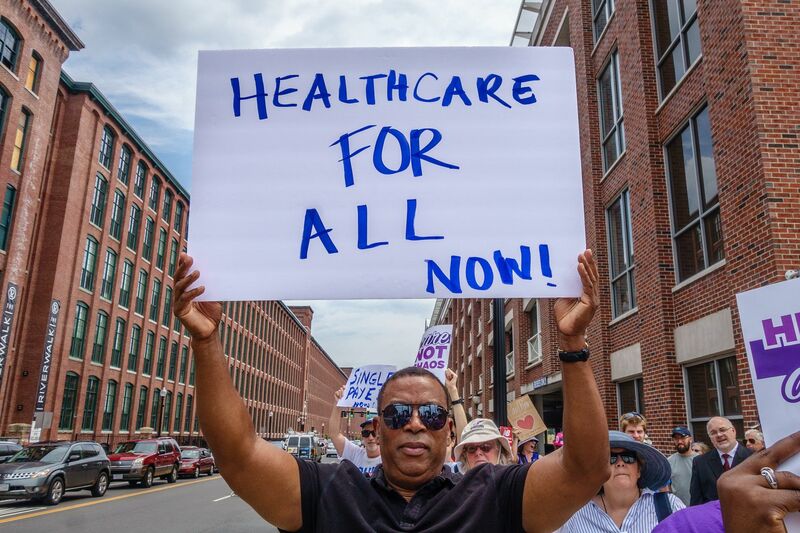 But it is far from free and, while the idea of single-payer health care is ideologically appealing to progressives, it also will not deliver better health care to citizens. In the past half-century, nationalized programs have consistently failed to provide timely, high-quality medical care compared with the U.S. system. That failure has countless consequences for citizens: pain, suffering and death, permanent disability, and forgone wages. Single-payer programs usually impose long waiting lists and delays unheard of in the U.S. Last year, a record 4.2 million patients were on England’s NHS waiting lists; 362,600 patients waited longer than four months for hospital treatment as of that March, and 95,252 waited longer than six months. By this July, 4,300 people had been on the wait list more than a year—all after receiving their diagnosis and referral—according to NHS England’s “Referral to Treatment” waiting-times data. In Canada last year, the median wait time between seeing a general practitioner and following up with a specialist was 10.2 weeks, while the wait between seeing a doctor and beginning treatment was about five months. According to a Fraser Institute study, the average Canadian waits three months to see an ophthalmologist, four months for an orthopedist and five months for a neurosurgeon. In single-payer systems, even patients referred for “urgent treatment” often wait months. More than 19% of patients in Britain’s NHS wait two months or longer to begin their first urgent cancer treatment, while 17% wait more than four months for brain surgery. In Canada the median wait for neurosurgery after seeing a doctor is about eight months. Canadians with heart disease wait three months for their first treatment. And if you need life-changing orthopedic surgery in Canada, like a hip or knee replacement, you’ll likely have to wait a startling 10 months. It will take longer for patients to obtain new drugs if single-payer health care becomes the law of the land. The medical outcomes for patients will not be as good as they are now. So the slogan has a nice ring--the reality would be drastically higher taxes and inferior medical services.